At Dartford parkrun event 17 I was feeling a little under the weather. I had had a few days off after catching the world's worst bug. Some people probably wouldn't have run, but this is me and it was parkrunday, so of course I just got on with it. It rained, it stopped, it rained, it stopped. 9am came around, we ran the course. The rain held off, but came down a little heavier just as the last few runners were coming back in. Then it stopped again. My jumper which I had hung on the fence was now pretty wet. 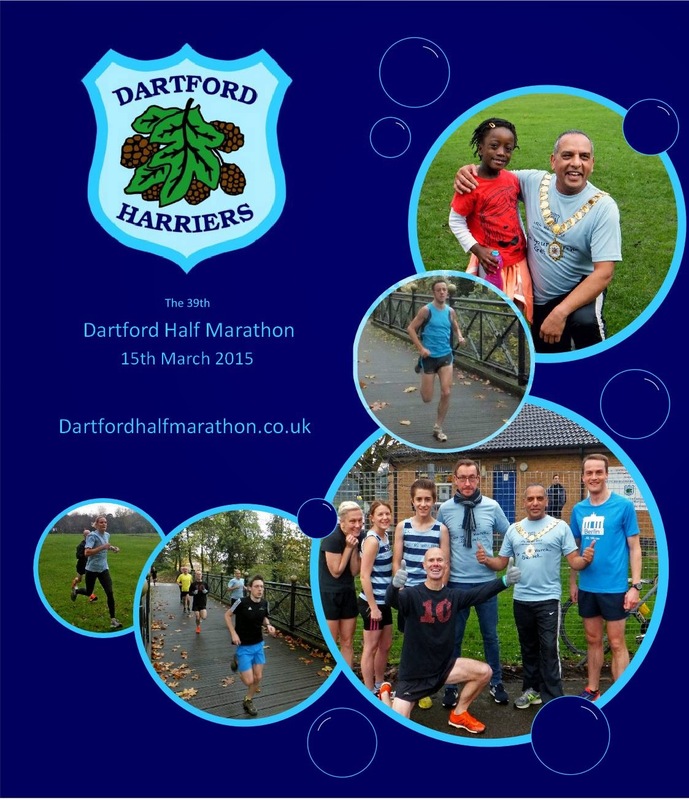 The mayor of Dartford came along to run at the event and wore a Dartford Half Marathon t-shirt to help to promote 2015's event. I've never run the Dartford half, but I have signed up for the 2015 event and I can't wait! It is usually held in the summer, but from 2015 it will take place in March, which should work well for anyone training for the VMLM. There is a little article on the dartfordonline webpage about the mayor's visit which also gives some more details about the half marathon.